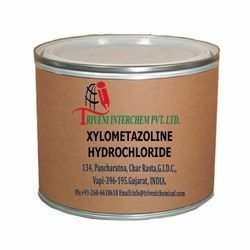 Leading Manufacturer of xylometazoline hydrochloride from Vapi. Xylometazoline Hydrochloride (1218-35-5) is solid. it is also known as Xylometazoline Hcl. Storage: Keep container tightly closed. Keep container in a cool, well-ventilated area. Looking for Topical Nasopharyngeal Anaesthesia API ?